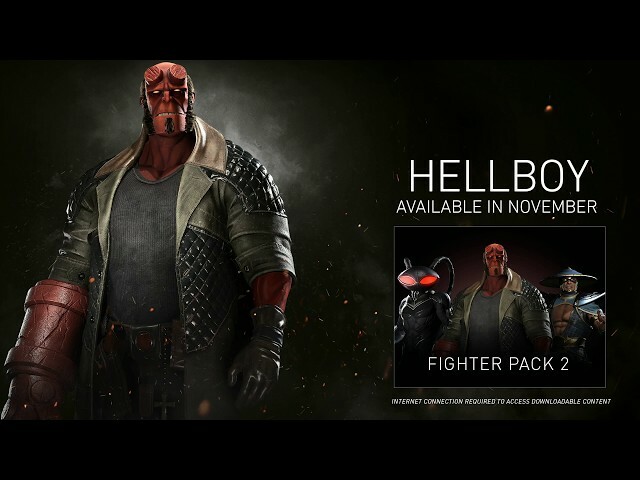 Hellboy will become the third and final character to be added to the roster in Injustice 2 as part of Fighter Pack 2 come November 14. His inclusion follows last month’s introduction of Mortal Kombat’s popular thunder god Raiden, as well as Black Manta back in September. Created by writer-artist Mike Mignola, Hellboy first made his appearance in August 1993 in San Diego Comic-Con Comics #2. He has since made numerous guest appearances in varying forms of media, and starred in two live-action feature films in 2004 and 2008 starring Ron Perlman.